During our stay in Belgrade over Christmas holidays, we made the wonderful discovery of Zorislav and Maja Fajndovic, violins makers. They have started the business “Master of the Game” in 1999. When Zorislav agreed to meet us and find out about our photography project, it was a great surprise to be received at his home, which is also a workshop where various string instruments are made by hand utilising computer aided design tools. With Zorislav being so passionate about his art, we spend hours conversing about traditions and applied science to istruments making. We learnt about the influence of the italian school to this art. 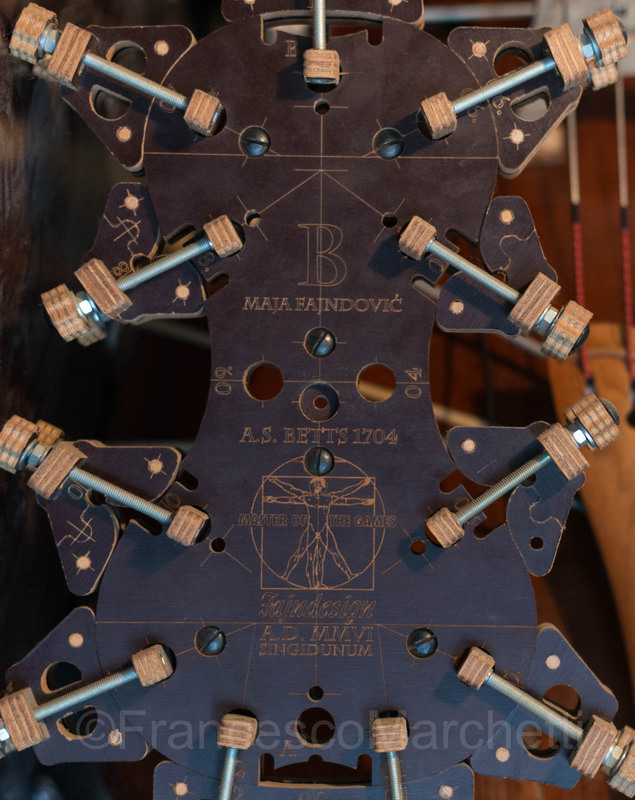 The tradition of making violin in Serbia started a century and a half ago, as the Italian violin maker Fasola, after taking the orthodox religion, changed his name to Vlada Toskanović around 1890. 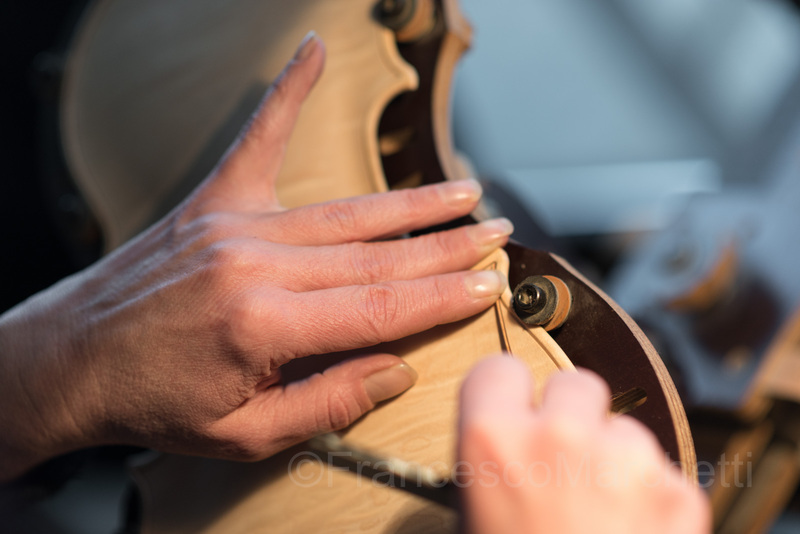 It was known by italian violin makers for centuries that the basic “ingridients”, the wood from spruce and maple, is of the fine quality in the Balkans, expecially from Montenegro, Bosnia and Serbia. 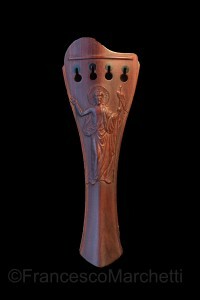 Unlike many string instruments makers who share a background in music, Zorislav is an architect and a member of the Association of Applied Arts Artists and Designers of Serbia (ULUPUDS), who has applied the science to analyse the proportions of the violin and other instruments such as the lute. He emphasises that each instrument needs to combine function, construction and aesthetic. His scientific background allowed him to apply the Fibonacci’s golden ratio to the analysis of the proportion of the violin (the Stradivarius violins were built according to this rule) and he arrived to the conclusion that each part of the instrument is proportionate. 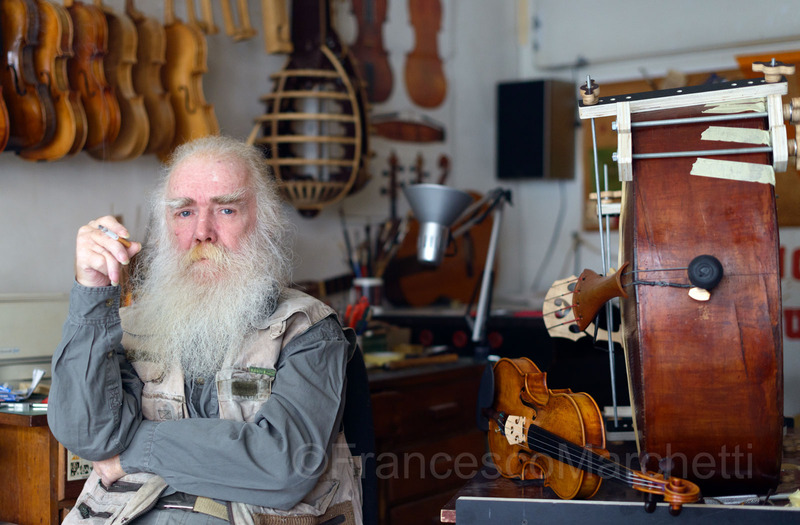 This discovery fuelled his passion for the art of making violins, replacement parts and tools needed for the instruments making. 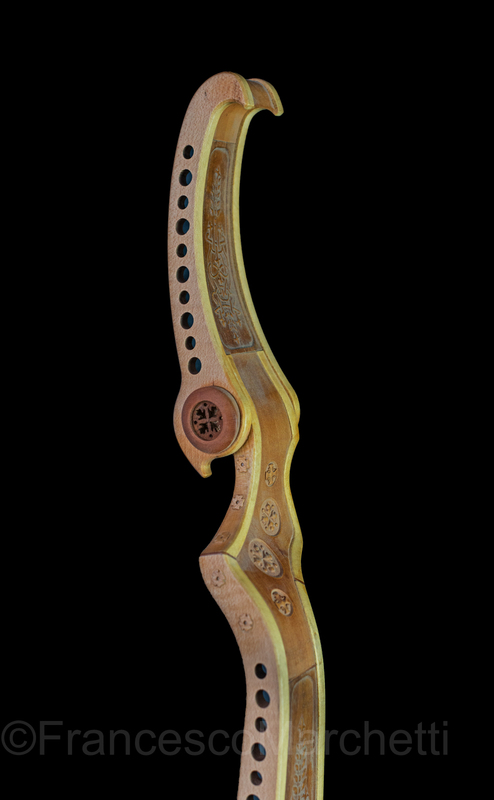 Zorislav took his violin building Master exam in 2000 and he has since been commissioned by various artists. As the time pass by and I am awaiting for Vesna to translate the conversation, and I try to pick up few words to make a sense, my attention is caught by the light coming throw the window, all the working tools lying on the table, various violins in production hanging on the wall, and something quite unique in Zorislav proud appearance and stance. 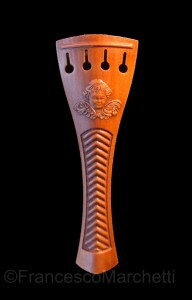 Zorislav believes that instrument making should be studied in any school of design. We also met Maja, Zorislav’s wife and violin designer too, who inherited the passion for string instruments from musicians in her family. 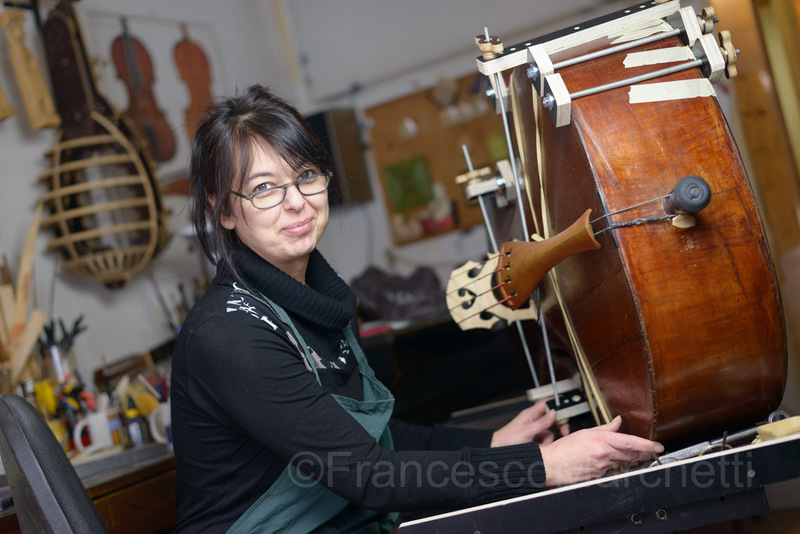 Maja talks passionately about violin making, and she is proud that, being in the business for 15 years, their violins are estimated in the USA at a high value. It is hard to make a leaving solely from this business in Serbia, but she knows that if opportunities are there to enter the European market the situation would change. 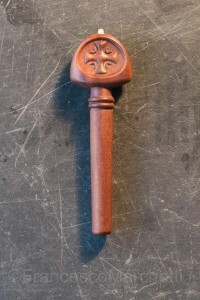 One of the complex parts produced for the lute. Zorislav shows us some beautifully handmade tail pieces and pegs. Although there is significant number of instruments makers is Serbia, there is not an integrated association at the level of Serbia. They would benefit from a formal representation to promote the craft and raise the skills, such as the British Violin Making Association (BVMA), formed in 1995 with a clear set of aims to support and promote this art. 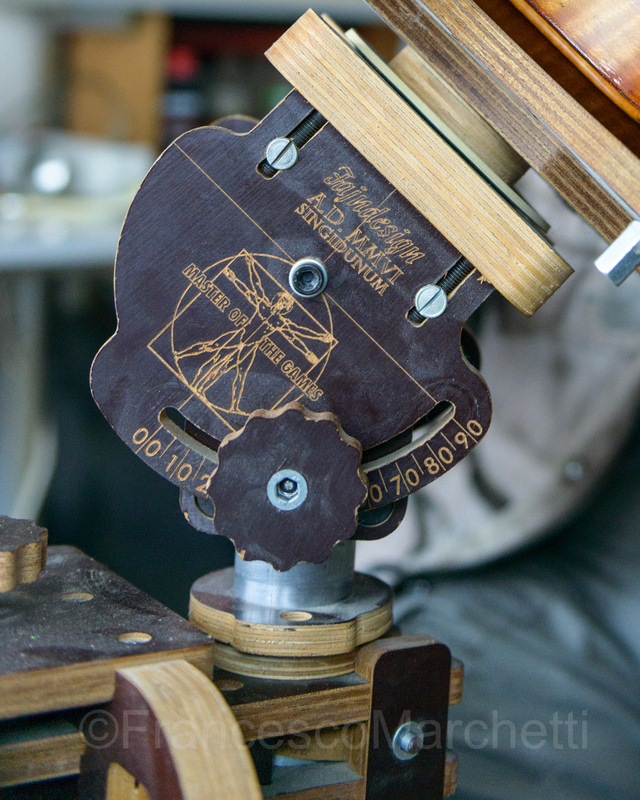 I hope to see Zorislav and Maja instruments at one of the evaluation events in the future. Zorislav and Maja received us warmly, giving us the opportunity to introduce ourselves without reservation. They merged perseverance, passion and scientific knowledge into this beautiful art and our encounter has been inspirational. We have spent quite a long afternoon with them conversing, drinking tea, photo shooting, and having the traditional Italian Christmas cake “Panettone”. We hope to see them soon again. A very special encounter indeed.